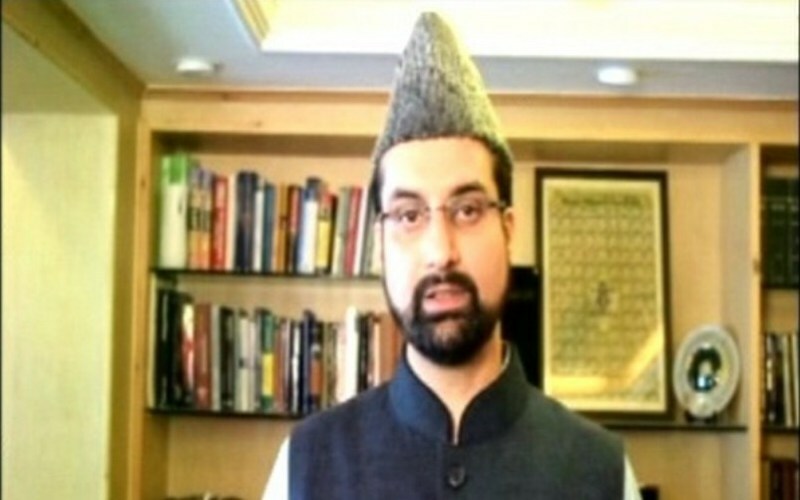 New Delhi, 05 Jan 2019 [Fik/News Sources]: Rejecting Union Home Minister Rajnath Singh’s offer to start talks on Kashmir, All Parties Hurriyat Conference (APHC) chairman Mirwaiz Umar Farooq on Friday said that either combined ‘talks’ between India, Pakistan and Hurriyat leaders or UN Resolution can resolve Kashmir issue. This comes after Centre said on Thursday that it is ready to hold Assembly polls in the centrally-ruled Jammu and Kashmir along with the Lok Sabha polls due in a few months if the Election Commission so desires. Rajnath Singh also said in the Rajya Sabha that the government is ready to accept any suggestion from any party for restoring peace in the militancy-hit state. He was replying to a debate on a statutory resolution for promulgation of President’s Rule in the state where the Assembly was dissolved on November 21. The resolution, which has already been passed by the Lok Sabha, was later approved by the House, endorsing the decision taken on December 20 to impose President’s Rule in the state. Governor’s Rule was imposed in the state and the Assembly was placed under suspended animation on June 19 after the PDP-BJP coalition government collapsed. During the debate, the Opposition slammed the action of dissolving the Assembly and questioned when the polls would be held. Singh said restoration of peace and normalcy in Jammu and Kashmir is linked to the integrity of the country and the government is working in this direction. Regarding the timing of the Assembly elections, he said conducting of polls is the responsibility of the Election Commission and not that of the government. “From our side, there is no objection (to holding elections). Whatsoever number of forces the Election Commission wants, we are ready to give,” the Home Minister said.